Football coaching courses – SoccerKidz are experienced at coaching children from beginnerʼs level to elite development level. 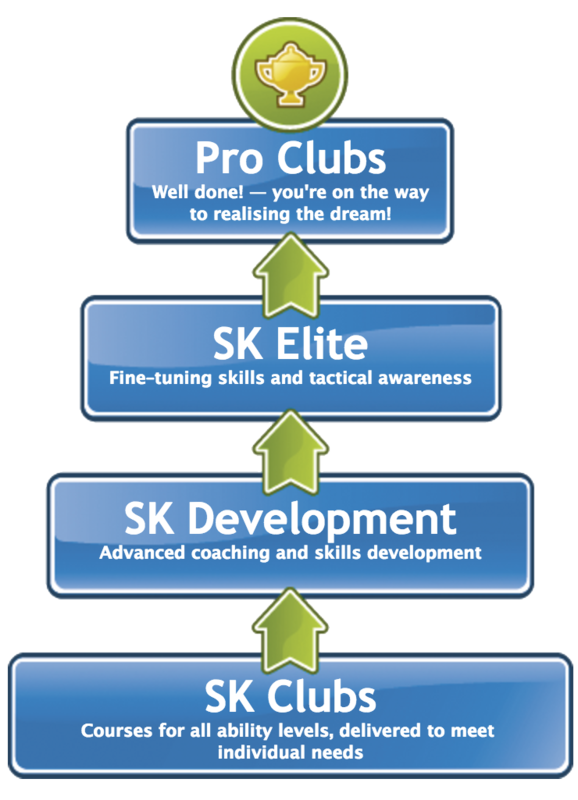 The SoccerKidz Pyramid Of Progression has been carefully designed to give children the best possible opportunity to learn and improve their football ability. The pyramid is separated into four tiers that clearly define a route into the Professional game, that SoccerKidz believe is achievable for children that show the right attitude and commitment. Roll your mouse over the tiers in the pyramid below to view more information.